They say that to make an omelet you need to break a few eggs, and that's true enough, but before you start cracking shells, make sure you're not making one of these egg-cooking errors. 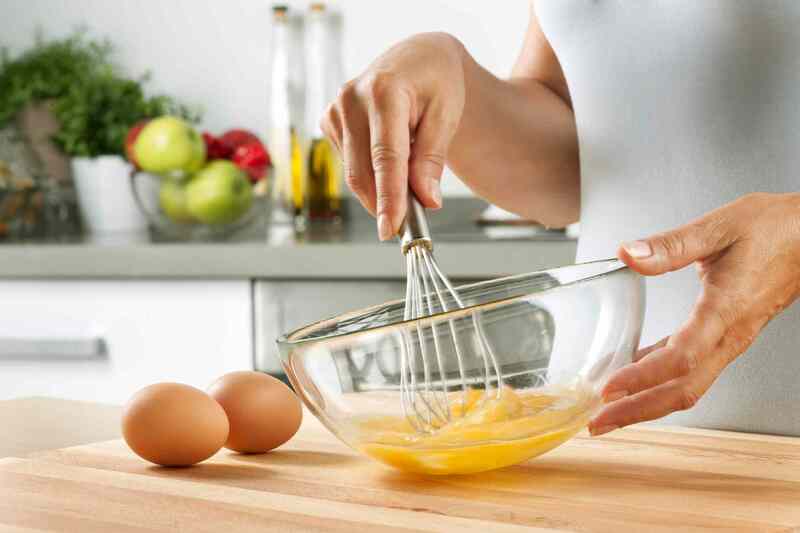 Whisking is a crucial step when making omelets or scrambled eggs, for two reasons. It blends both parts of the egg, the white and the yolk, together into a temporary emulsion. This is important so that you don't see little flecks of white in the cooked eggs. Your eggs should be a uniform yellow color. Whisking whips air into the eggs so that they cook up light and fluffy. Whatever you use, you should whisk vigorously, for a full minute. You want the eggs to be frothy. Don't whisk and then set the bowl down. Whisking should occur right before adding the eggs to the pan. Otherwise, all that froth you whipped up will simply dissipate. The right way: Beat your eggs vigorously using a whisk or a fork for a full minute, right before adding them to the pan. Failing to season (i.e. salt, specifically Kosher salt) your food is always a mistake, and especially when it comes to eggs, which have a relatively mild flavor to begin with. Sometimes, it's impossible to season them, like when you're cooking them in their shells. 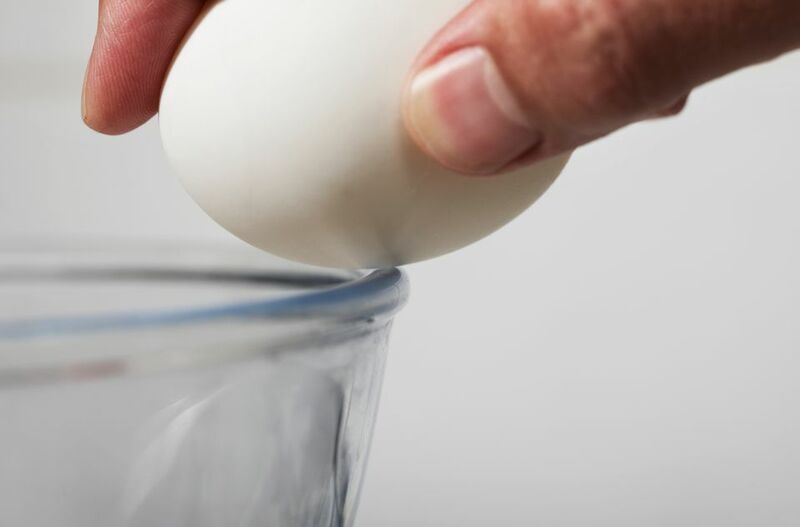 You could add salt to the water, but there's no way that a noticeable amount of salt is going to penetrate the eggshell in the 12 to 15 minutes it takes to cook them. On the other hand, fried eggs, scrambled eggs (including omelets) and poached eggs can and should be seasoned. Poached eggs get their seasoning from the poaching liquid, which you should salt before heating, the same way you do with pasta water. With scrambled eggs, you can season them in the bowl before you whisk. And with fried eggs, go ahead and season the tops of them as soon as they hit the pan. The right way: Season your scrambled, fried and poached eggs, but don't bother trying to season hard-cooked eggs. Eggs overcook easily, as anyone who's ever had tough, rubbery eggs knows. While there is a time and place for a crispy fried egg, you don't want all your eggs to be crispy. Which means you need to cook your skillet eggs over medium heat, not high. Egg whites cook marginally faster than the yolks, so if you fry an egg until the whites are just set, the yolks will still be slightly oozy, if that's how you happen to like them. If not, cook them a little longer, but lower the heat. You can cook eggs on an electric griddle set to 325F. Indeed, with poached eggs, a slightly soft yolk is the goal, and you'll achieve that by making sure your poaching liquid is around 180F. You should barely see any bubbling. Don't poach longer than 5 minutes. You'll know when hard boiled eggs are overcooked because they'll smell of sulfur and exhibit the telltale greenish ring around the yolks. The solution here is not to boil them but rather bring them to a boil, turn off the heat and steep them until they're done. The right way: Whether you're frying, poaching or hard-cooking your eggs, keep the heat medium instead of high. Poaching eggs is tricky because you need to make sure the temperature is just right. Too hot and the eggs turn out hard, with crumbly yolks. Not hot enough and they spread out into long snaky tendrils. The solution: add a tablespoon of vinegar to the water. The acid helps the eggs cook a little faster so they hold their shape. Your water shouldn't be bubbling when you poach. A great trick is to bring it to a boil, take it off the heat, add the eggs and then cover and let sit for 5 minutes. Make sure your poaching liquid is salty. And speaking of liquid, another mistake is cracking your egg directly into the poaching liquid. Instead, crack it into a ramekin, then make a whirlpool in the water with a spoon and gently slip the raw egg into the whirlpool. This technique is yet another way to keep the egg from spreading apart in the water. The right way: Remember the vinegar, the salt, the ramekin, the whirlpool, and the water temperature. Have you ever melted butter in a pan and then added your eggs, and instead of producing a big satisfying sizzle when they hit the pan, the eggs just sat there in a pool? That means your pan wasn't hot enough. Hot enough to melt the butter, yes, but not hot enough to cook the eggs. Did you further notice that the butter wound up ​on top of the eggs? That's no good. The reason you add butter is to lubricate the pan, so your eggs don't stick. If the butter doesn't get between the eggs and the pan, it won't be able to do its job properly. That's what happens if the pan (and thus the butter) isn't hot enough when you add the eggs. The right way: Heat your pan until the butter is foamy and a drop of water sizzles on it. Eggs are like glue. You can actually use eggs as glue to seal pie crusts, empanadas, and other pastries. So it's not a surprise that eggs will stick to the bottom of your pan. While the egg cooks, its proteins are forming chemical bonds with the metal of the pan. A nonstick coating interferes with this bonding, and so does adding fat like oil or butter to the pan before the eggs. The layer of fat gets between the pan and the eggs and prevents the proteins from sticking. You can cook eggs in any kind of pan — even a cast-iron skillet, but you need to make sure you have oil in it and keep the eggs moving so that a bond never gets a chance to form. For the rest of us, a nonstick pan is best. An 8-inch omelet pan is the right size for cooking two eggs, and it's shaped so the eggs will slide around and flip like a circus acrobat. The right way: Cook your eggs in a nonstick pan. As an egg ages, it slumps. It slackens. It loses its firmness. A fresh egg is perky. Its yolk stands up straight and points skyward. The white is tight and compact. All these qualities make fresh eggs highly desirable for poaching and griddling. A fresh egg holds its shape when you poach it, and it doesn't go sprawling across the pan when you crack it. That being said, old eggs can be useful in their own ways; for instance, they're easy to peel when you hard-boil them. There's an air pocket beneath the shell that expands as the egg ages, making it easier to peel an older egg than a fresh one, where the shell clings to the egg more tightly. The right way: Use your fresh eggs for poaching and griddling, and older ones for hard-boiling.